Precise Combat Flight Sim Action Saitek’s X52 Pro Flight H.O.T.A.S. 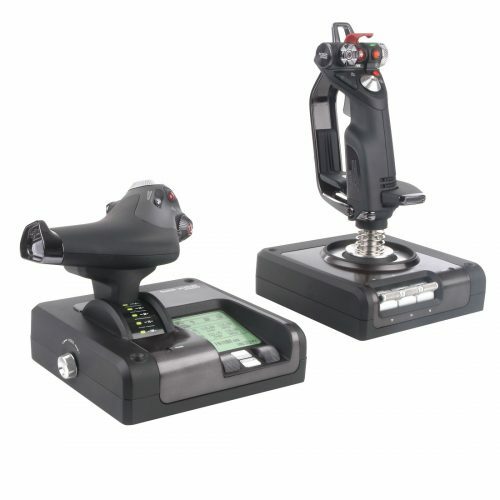 System is a fully integrated hands on stick and throttle flight controller that meets or exceeds the demands of the best flight simulator pilots. 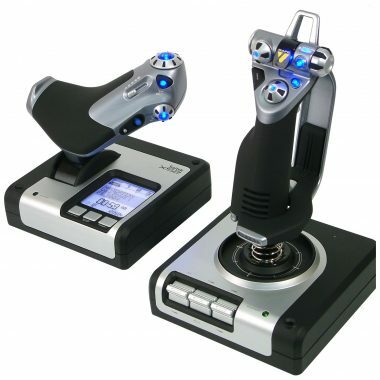 Featuring an upgraded multi-function LCD which shows in-game data in real time, a progressive throttle with tension adjustment, plus an adjustable joystick with a self-centering mechanism. 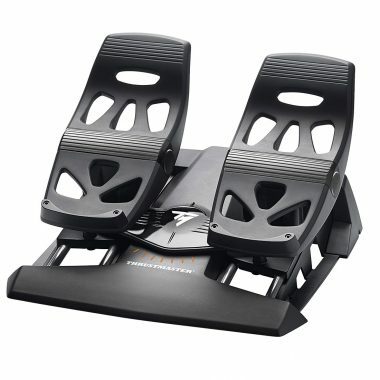 The X52 Pro takes all the standout features from the original X52 and elevates them to a higher altitude. 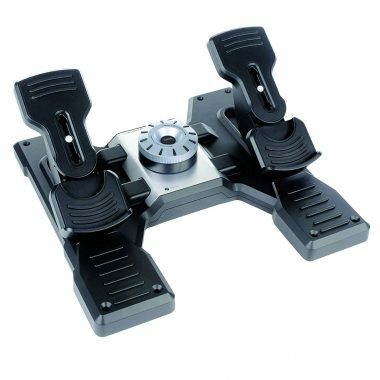 A five-position handle adjustment system conforms to your grip style and hand size. And to promote maximum comfort during long flights, the joystick’s handle also features contours which harmonize with your digits. 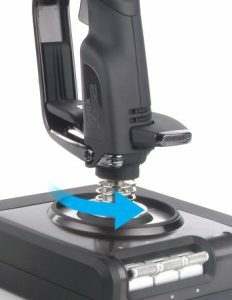 The joystick’s twist rudder controls add another dimension of command to simulated flight. 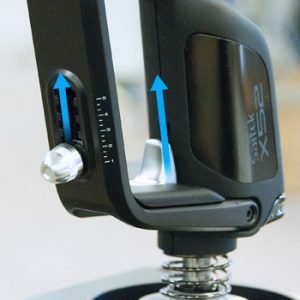 If you prefer more traditional control, a rudder lock switch disables the twist capabilities and confines input to the X and Y axes – ideal for use with Saitek Pro Flight Rudder Pedals (sold separately). 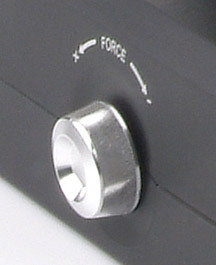 The throttle unit’s progressive functionality improves aircraft response.  Detents – physical markings indicating where a certain action takes places – simplify control of your plane’s idle and reverse thrusters. 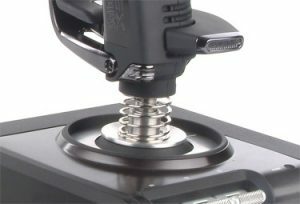 Yet another customizable feature found on the X52 Pro, a tension adjustment dial lets you change the throttle’s resistance to suit the way you fly. The X-52 Pro’s LCD screen – with adjustable backlighting – enables you to view information about your button configurations with only a quick glance. Even more beneficial is the ability to directly manipulate radio stack information in FSX, X-Plane, Prepar3D, and most flight simulation software. 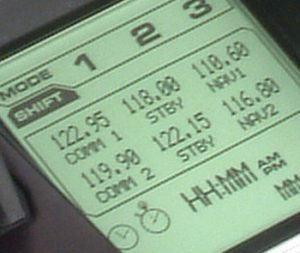 You can then use the buttons residing below the Multifunction Display (MFD) to cycle through essential radio stack functions. A downloadable Software Development Kit allows you to create your own MFD interactions. After installing downloadable software, you are then free to create custom profiles for different flight sims. Three mode settings and a pinkie switch provide enhanced programming options for even more control in your favorite sim. And, all button programming is color coded. 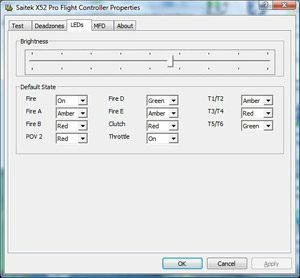 Assign a color to each button’s tri-state LED, and then make adjustments via controller settings within joy.cpl (Game Controllers).